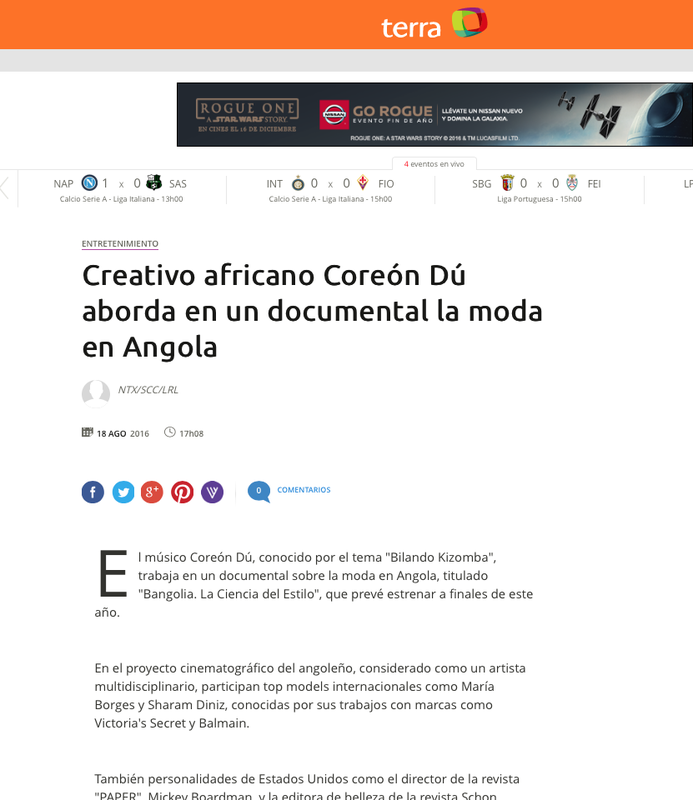 Coréon Dú is a multi-disciplinary artist whose work encompasses TV, movies, fashion design and music. Internationally known for his successful song ‘Bailando Kizomba,’ which was Top 30 on the Latin Billboard Charts for six months. 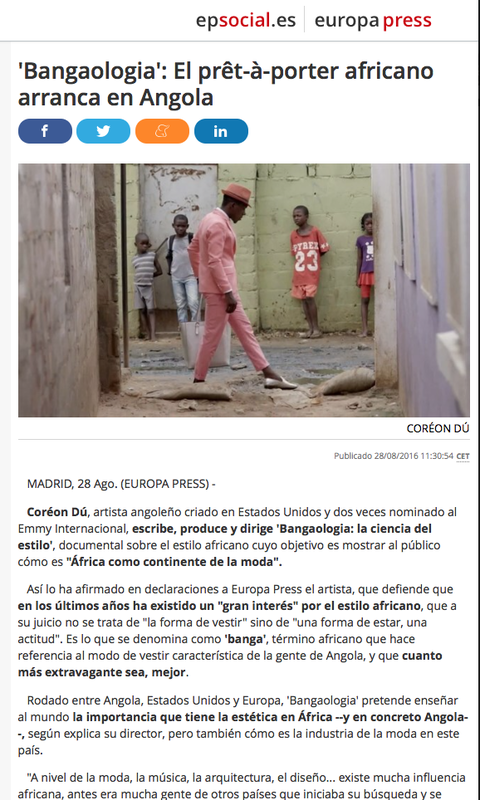 Coréon Dú is also internationally recognized for his writing and production work for ‘Jikulumessu,’ which earned him International Emmy nominations. 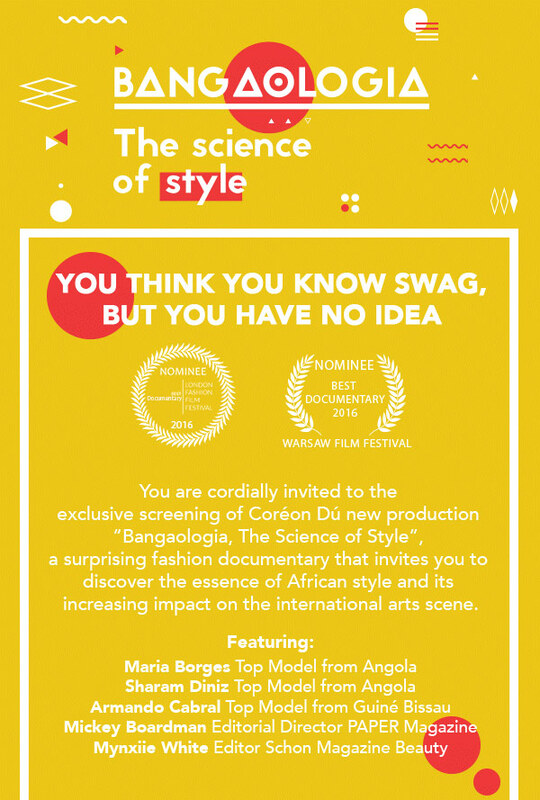 Now Coréon Dú bursts onto the global film and fashion scene with “Bangaologia,” a fascinating and beautifully executed documentary that highlights the vivid fashion culture in Angola, Coréon’s country of origin. 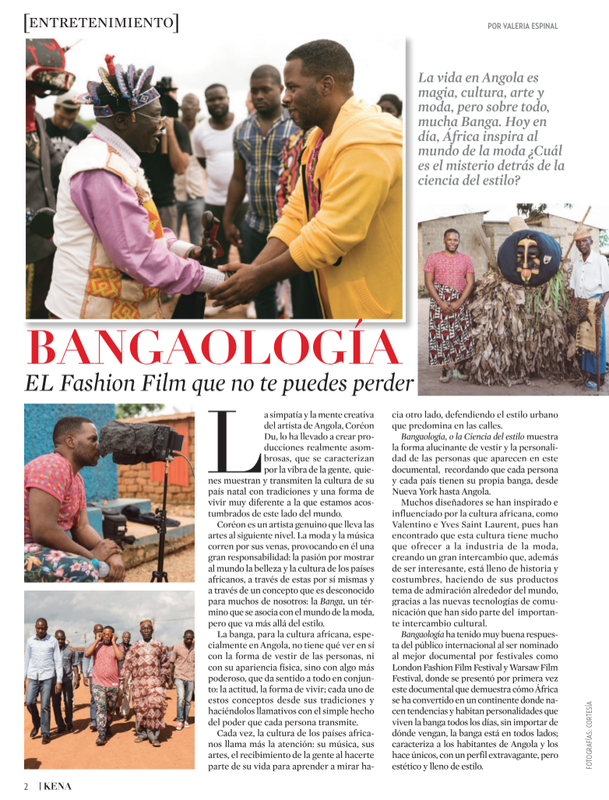 Recently “Bangaologia” was nominated to “Best Documentary” at two of the biggest film festivals in Europe: London Fashion Film Festival 2016, and Warsaw Film Festival in Poland. 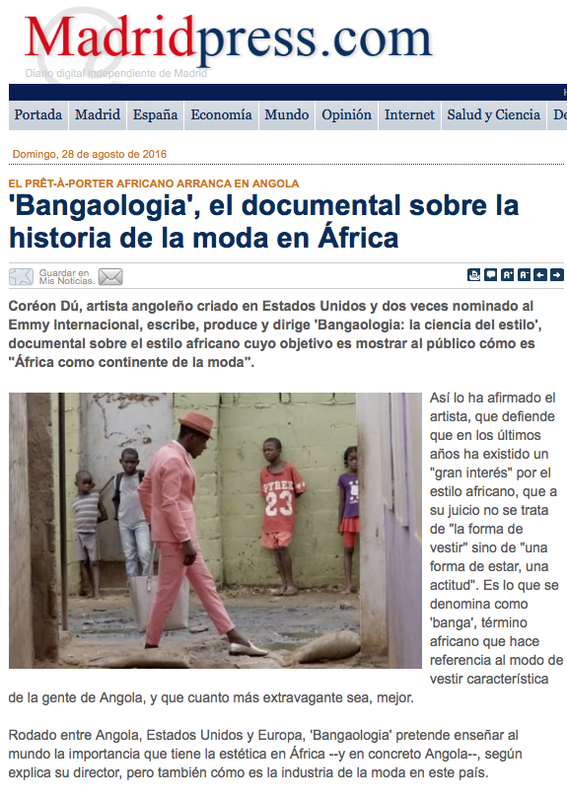 Exquisitely produced and worthy of awards and attention, “Bangaologia” invites the spectator to discover the vivid history and style of Angolan fashion, and its increasing impact on the international arts scene. 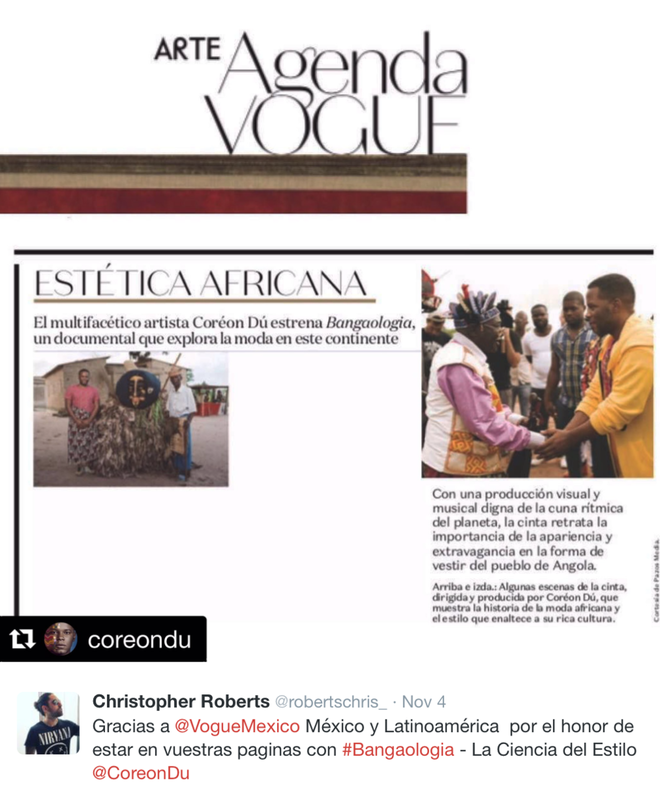 Since working with Pazos Media, Coréon Dú has received amazing international press attention in Vogue Mexico, and LA Weekly, to promote his fashion documentary "Bangaologia." 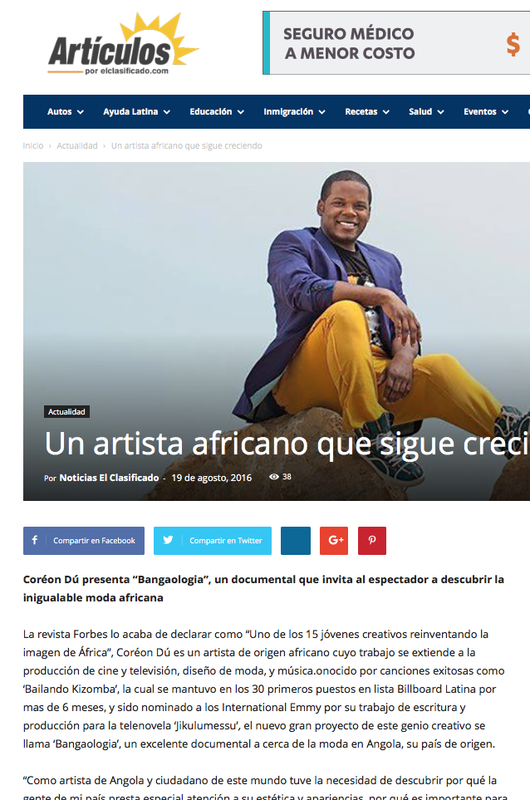 With a media strategy focused on US and international markets, Pazos Media has created outstanding results for the talented, multi media artist Coréon Dú. 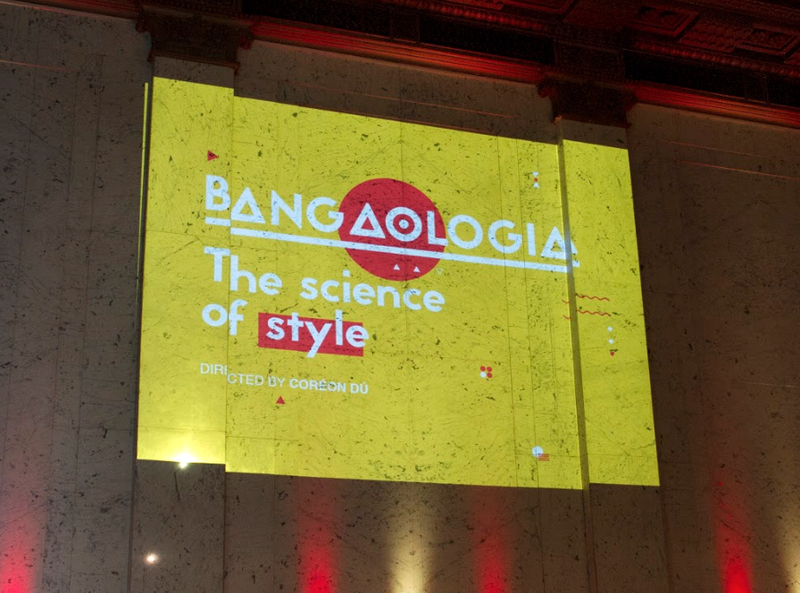 CHALLENGE #2 // PRIVATE LOS ANGELES SCREENING PREMIERE OF "BANGAOLOGIA"
Pazos Media, in collaboration with Coréon Dú, hosted the successful private screening premiere of his new documentary fashion film, "Bangaologia, The Science of Style" at the glamorous Los Angeles Theater in downtown Los Angeles. 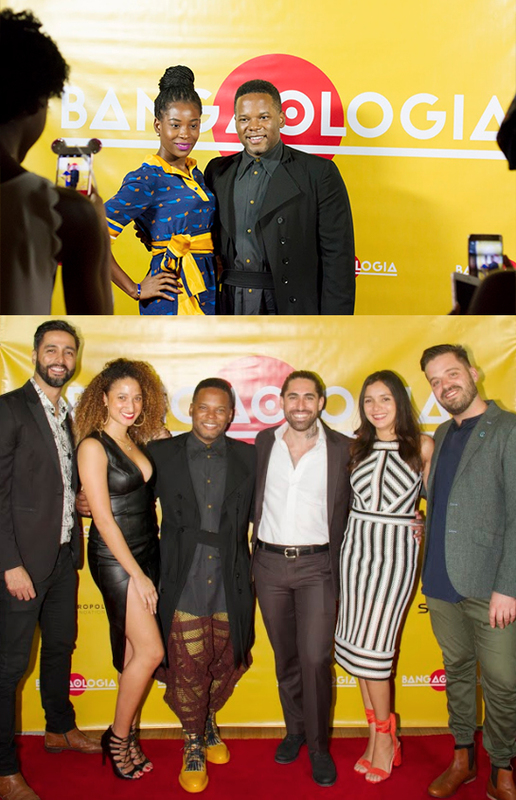 Pazos Media chose the venue, and invited attendees to celebrate the gorgeous, and wild style of Angolan fashion. 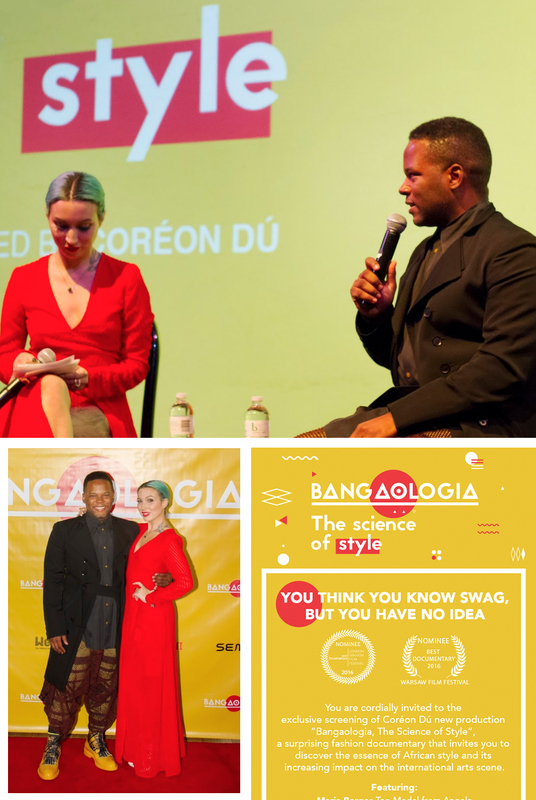 Pazos Media hosted the exclusive screening of Coréon Dú's documentary "Bangaologia," and featured a fascinating Q&A after the screening with Coréon Dú and Mynxii White, global beauty editor of Schon Magazine. Pazos Media produced the event with great success, the private screening featured red carpet photos, an open bar, African catering and a lively, fun atmosphere. Guests came ready to impress and share their swag and their "Banga" style!